*1. 266,777　*,266,777　Hey! Say! 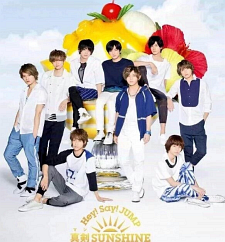 JUMP "Maji SUNSHINE"
*6. *22,850　*,*22,850　Genki Zenkai DAY! DAY! DAY! by CYaRon! 14. **9,248　*,**9,248　Leo Ieiro "Bokutachi no Mirai"
15. **8,179　*,**8,179　SKY-Hi (Mitsuhiro Hidaka From AAA) "Chrono Graph"
20. **3,846　*,**3,846　Takuma Terashima "0+1 (Love & Peace)"
27. **2,323　*,*64,505　°C-ute "Naze Hito wa Arasoundarou? / Summer Wind / Jinsei wa STEP!" 32. **1,781　*,*29,190　Kana Nishino "Anata no Suki na Tokoro"
37. **1,493　*,*22,599　Spitz "Minato"
52. ***,999　1,075,401　AKB48 "Kuchibiru ni Be My Baby"
53. ***,988　1,287,363　AKB48 "Kimi wa Melody"
65. ***,690　*,*31,218　w-inds. "Boom Word Up"
66. ***,679　*,823,178　Nogizaka46 "Harujion ga Saku koro"
75. ***,553　*,*15,741　Daichi Miura "Cry & Fight"
88. ***,485　*,*12,735　the GazettE "UNDYING"
96. ***,426　*,*20,340　9nine "Ai Ai Ai"
11. **3,811　*,**3,811　Kano "nowhere"
12. **3,698　*,259,454　Ikimono-gakari "Chou Ikimono-gakari~Tennen Kinen Members BEST Selection~"
19. **2,316　*,178,656　ONE OK ROCK "Niche Syndrome"
25. **1,758　*,149,736　"ZARD Forever Best ~25th ANNIVERSARY~"
29. **1,680　*,*10,006　Aoi Teshima "Aoi Works ~best collection 2011－2016~"
30. **1,664　*,*26,184　LiSA "LUCKY Hi FiVE!" 42. **1,387　*,**1,387　SpecialThanks "heavenly"
44. **1,332　*,*42,144　Dempagumi.inc "GOGO DEMPA"
46. **1,279　*,*22,720　EXILE SHOKICHI "THE FUTURE"
52. **1,210　*,*26,905　SiM "THE BEAUTiFUL PEOPLE"
60. **1,094　*,*46,366　Shiritsu Ebisu Chuugaku "Anarchy"
62. **1,045　*,*19,525　GACKT "LAST MOON"
70. ***,942　*,*10,246　Aina Kusuda "Next Brilliant Wave"
73. ***,932　*,261,888　Bump of Chicken "Butterflies"
90. ***,694　*,573,827　Miyuki Nakajima "Singles 2000"
I just wanted to verbally support the song, because I like it. I thought trashdax knew that ED Bakuon is selling there very well yet it's sales are not recorded in the Oricon charts. And then after you said that 266,778 are not sold, I thought people in Japan "pre-ordered" 266,778 items but cancelled it. I must be overthinking. Why is this not No.1? Why did TrashDax asked about being #1 and what's 266778? On the other topic, Weekly CD Rankings on May 16-22 is out. *6. *22,850　*,*22,850　Genki Zenkai DAY! DAY! DAY by CYaRon! Well.. I didn't really expect that a new sub unit of aqours can sell as much as the whole unit so this is still actually pretty impressive for a debut single considering that their is no anime or live concerts at all to feed the aqours hype. It's a bit disappointing to see CYaRon! 's sales at Idolmaster level right now, but we can expect Love Live! SunShine's sales to pick up when the anime starts airing as we saw with µ's. By July they won't be anywhere near their peak though, as they don't have enough songs to have a 1st live concert to boost sales further. When Aqours is also fully integrated into the mobile game, then we'll naturally see another boost in sales, since they can utilise mobile game serial codes, as none of the Aqours or sub-units CDs have any right now. My point is, Aqours is currently lacking the 3 important pillars which made µ's so successful. These are an anime series, live concerts and full integration into the mobile game. I would say the movie version was responsible for µ's being able to reach their absolute peak, so i'd guess Aqours' absolute peak is nowhere close in sight yet. Not too bad of a 3rd week for Aqours. Just 255 sales lower than their debut single after 3 weeks of sales. Onwards to gold disc certification for Aqours debut single! Other Love Live related sales for this week. Best Live collection II should reach the milestone of consecutive charting for a whole year in the coming week, unless the album threshold is too high. I'm very happy with Aina's 2nd album sales. 10,000 in 2 weeks is quite good as a solo artist. I hope Pile's 4th single does well in the coming week. Macross Delta music is selling, good news. I want the album come June. Seeing those two on the list brings a huge smile on my face. I'm hoping when both albums come out they keep up the sells high. Koutetsujou no Kabaneri ED almost got beat by High School Fleet OP. TrySail is really strong. I feel KnK ED is a little low. I don't like Re:Zero OP that much but it's too low. 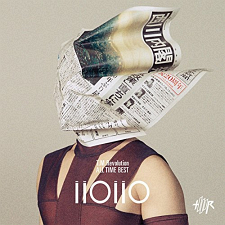 but, why "innocent promise" by TRUSTRICK (Shounen Maid Opening), is mark as a Album ? Happy for macross delta! I hope the anime sells well. I've been having so much fun playing this song on LLSIF, it's such a cute song! Fab, had hoped to see it up high but not knowing how Delta is being received in Japan wasn't sure how well it'd sell so am happy to see they've got another hit with a Macross series. Now for the agonizing wait for the album in July. Nice. I was hoping to see that in the top 10 this week.